Event Information: Enjoy all over Japan in Tokyo. Events across Japan. A collection ranging from traditional to seasonal offerings. 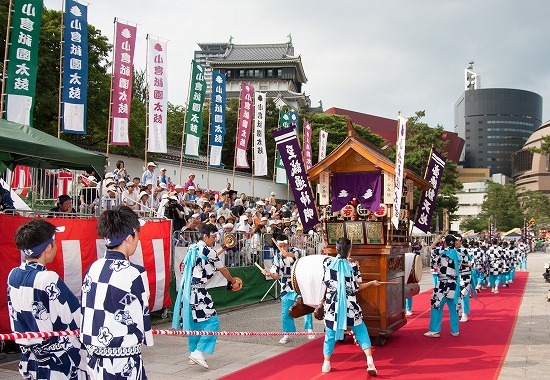 One of the three great festivals of Fukuoka Prefecture, it boasts a history of nearly 400 years of majestic and elegant Gion Daiko drums. In 2016, the festival was designated a national intangible folk cultural property. Dashi floats with men powerfully drumming both sides of taiko drums on them, together with the sounds of small jangala gongs, make their way through the streets. 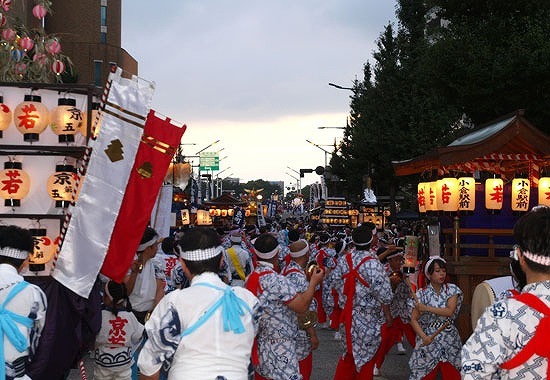 The sound of the drums is a unique one in Japan that resonates in the stomachs of onlookers, and is the definitive summer festival of Kokura. Event organizers may change the date and time. Please check the official website. COPYRIGHT © Tourism of ALL JAPAN x TOKYO ALL RIGHTS RESERVED.